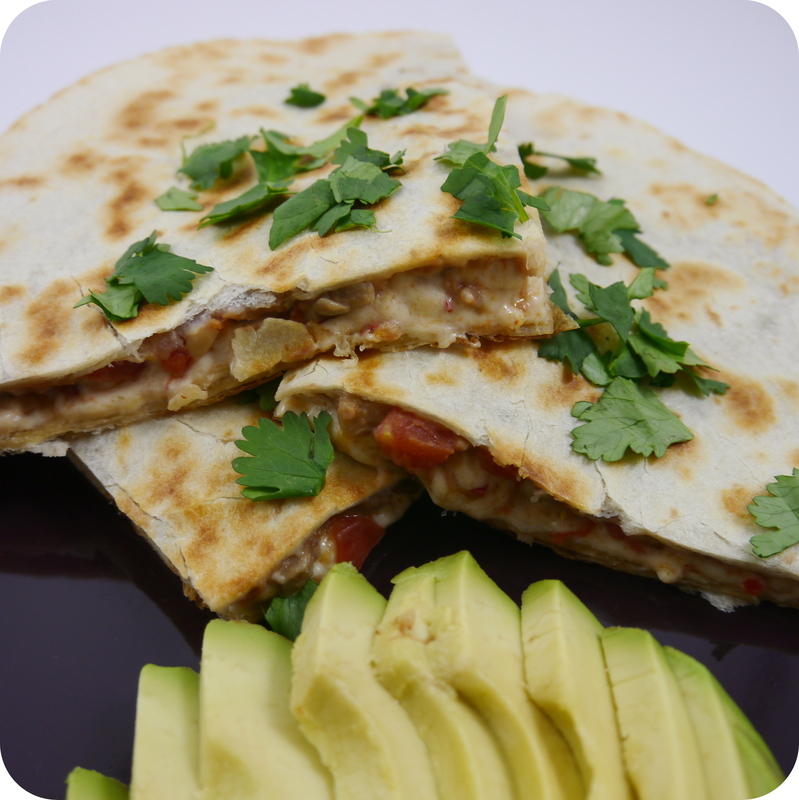 A quesadilla is traditionally cheese melted inside of a toasty tortilla, but in addition to cheese you can add in any number of your favorite ingredients. If you feel like something savory try your favorite cheese and choice of cooked meat, or if you want something lighter try sautéed kale with parmesan or if you crave something sweet make a dessert quesadilla with peanut butter and bananas. You have endless options, all you need are a few tortilla shells to get started. This week we face off 2 versions of a quesadilla. 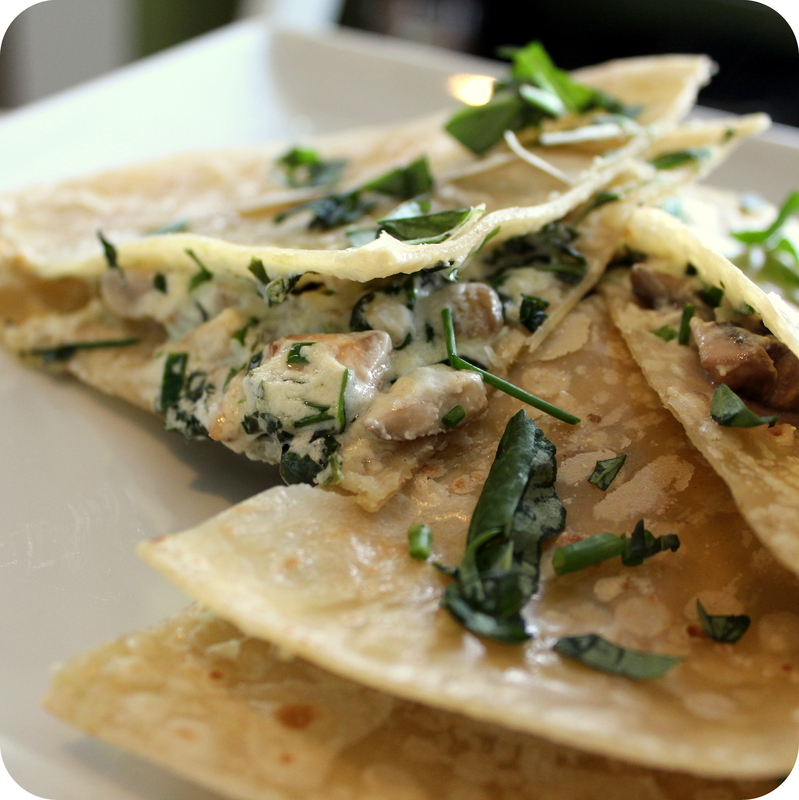 A Vegan Mexican style quesadilla featuring green chilies versus a French inspired quesadilla with goat cheese and fresh herbs. Enjoy! Almost-mini-burritos with avocado vs. my fav combo of goats cheese and herbs? How can I ever choose. These both look delightful… and I’m a fan of both New Mexican green chile and goat cheese. Thanks! Both were great and so easy to make!